Although the landscape of the Google algorithm has changed dramatically over the last five years, backlinks are still a driving force in determining Google rankings. 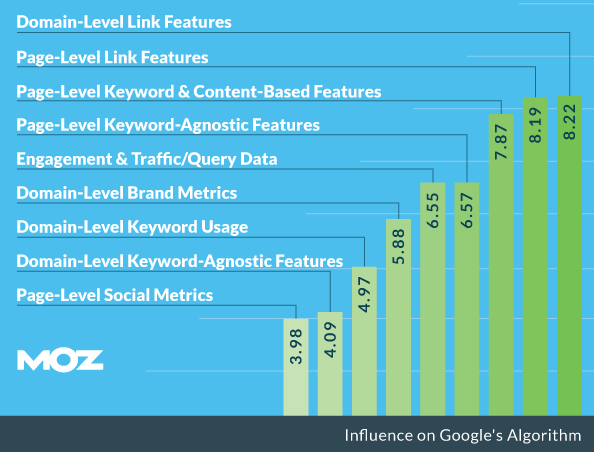 MOZ surveyed the top 150 SEO experts in the world, and they asked them to score all the ranking factors from 1 (least influence) to 10 (most influence). The results of the survey revealed domain and page level backlinks were voted the two most influential factors. 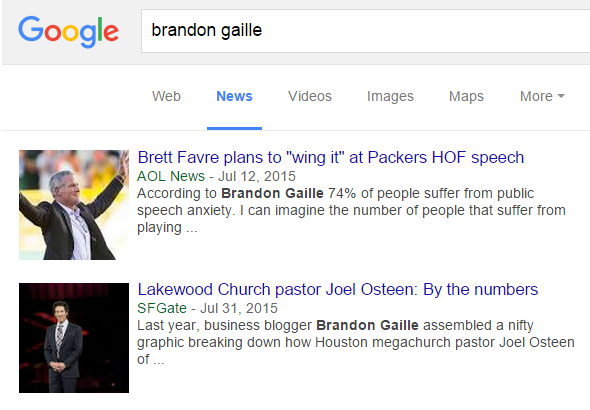 What strategies still work in the age of an advanced Google algorithm? All of the simple linkbuilding techniques from five years ago do not work. In fact, most of them will get your website penalized. This is good, though, because it has increased the barrier to entry and dramatically reduced the competition. 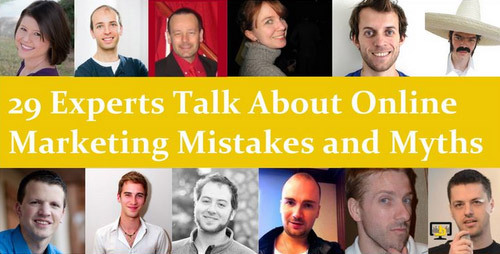 Today, I am going to unveil my top 15 secret strategies for getting high quality backlinks. Many of these you will be hearing about for the first time. Others will be a new spin on a familiar technique. 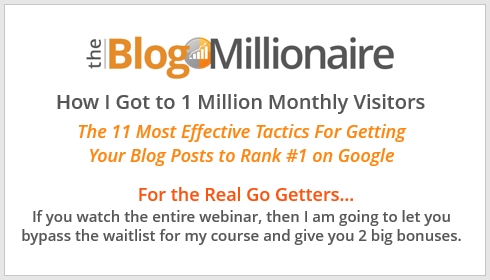 All are proven white hat strategies that will still be working years down the road. Are you ready to become a backlink expert? Let’s get right into the first strategy. When it comes to link building it is all about quality over quantity. A single link from a high domain authority website can make all of your posts get pushed up in the rankings. It is a 100 point scoring system to grade a website’s ability to rank on Google, based on the inbound link profile of that site. 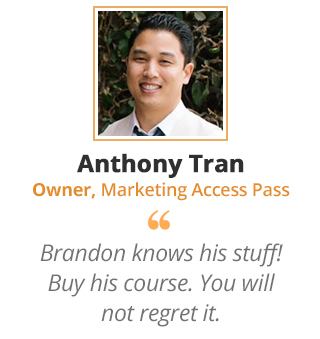 The system, created by MOZ, is the way professional marketers grade inbound link opportunities. 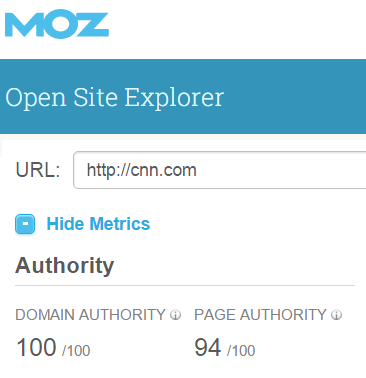 A major news site like CNN.com has a domain authority of 100, and a quality blog like mine has a domain authority of 40. The point scale is logarithmic. This means a domain authority of 40 is ten times stronger than a domain authority of 30. MOZ uses the same logarithmic algorithm for page authority, which determines a specific page’s ability to influence Google rankings. To simplify this, you will want to target sites with a domain authority greater than 30. A link from a website with little or no domain authority will have virtually no impact on your Google rankings. You can check the domain authority of prospective websites with Open Site Explorer. 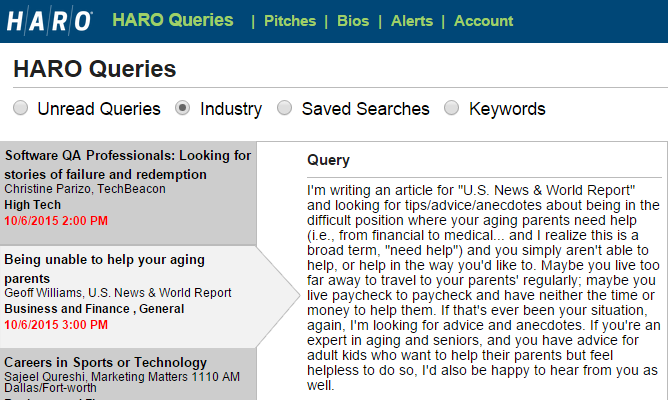 HARO, which stands for Help A Reporter Out, is a service that journalists use to find sources for their articles. Register with the site as a source to get requests from reporters with the stories they need sources for. Here are the best practices for getting backlinks using HARO. The Information in Your Personal Profile Plays a Major Role – This paragraph is going to get read by every reporter that considers using you as a source. In six sentences, explain what makes you special along with your past experience. Do Not Pitch Anonymous Reporters – Only pitch reporters who list their website, and make sure it has a domain authority greater than 30. Respond Within 10 Minutes of the HARO Email – HARO sends out emails with the latest requests Monday through Friday at 5:35 am, 12:25 pm, and 5:35 pm (EST). Most reporters are on a deadline and will choose the first qualified source that comes their way. I recommend pitching five times a week on stories that you have specific experience on. Once you supply a couple of reporters with great info, then they will start reaching out to you directly. A round up post is a compilation of views or tips from a group of industry experts. These posts generate plenty of backlinks because many of the experts will promote the post to their followers. Here is my secret HARO strategy for getting experts to fight for a chance to be part of a round up post. Submit a HARO Query as a Reporter – As long as your site has an Alexa rating greater than 1 million, you will be able to submit a query as a reporter. Include These Specific Requirements in Your Query So People Know What to Send You – Respond with a 200 to 400 word answer. Do not overly self promote. Include a 200×200 headshot image. Write a brief 50 word bio. Include a link to your website and Twitter account. 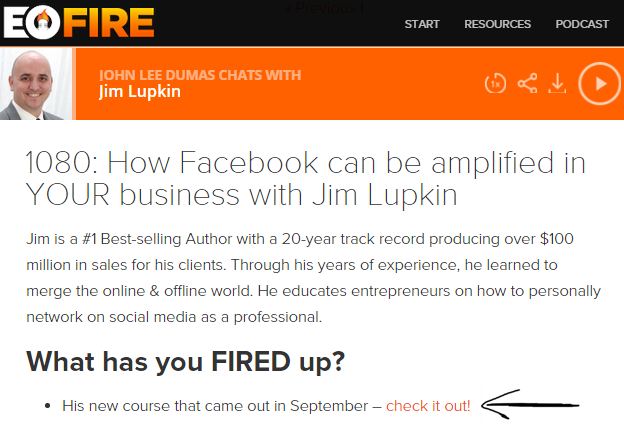 In a matter of days, you will have all the content you need for a top-notch round up post. On the day the round up post is published, send out a thank you email to everyone that contributed to the post. In the closing sentence, remind them to share the post with their social media followers. This simple request will double the backlinks to your post. Infographics are still the number one linkbuilding technique used by big marketing agencies. It is the most used technique because it works better than anything else. When you combine great design with great content, you have a winning combination for a link worthy infographic. Here are some of the best practices for using infographics to attract links. Quality is Better Than Quantity – You are better off investing in one quality infographic per month, as opposed to a weekly infographic that is just average. This will allow you to spend the rest of the month promoting your infographic to other bloggers. Do Not Mention Specific Dates in the Infographic – What is your first impression when you see an infographic with a title that reads, “Web Design Trends for 2010.” Most people will not read through an infographic that has a year other than the current year. By not mentioning any specific dates, your infographic will be acquiring links for many years to come. Use the Guestographic Outreach Formula to Get More Blog Links – In your emails to bloggers, offer to write a unique 300 word summary paired with your infographic, which they can use for a blog post. This eliminates any extra leg work that the bloggers would have to do on their own. Post Your Infographic to Key Communities – The three communities that have the biggest returns for infographics are Visual.ly, Reddit, and Pinterest. Bloggers browse these websites everyday looking for infographics to repost on their websites. 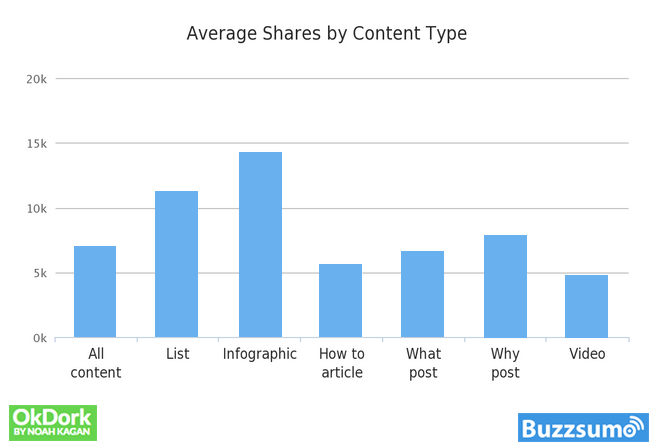 BuzzSumo analyzed over 100 million articles and found that infographics get shared more than any type of content. On average, infographics received over 3000 more social shares than all other forms of content. 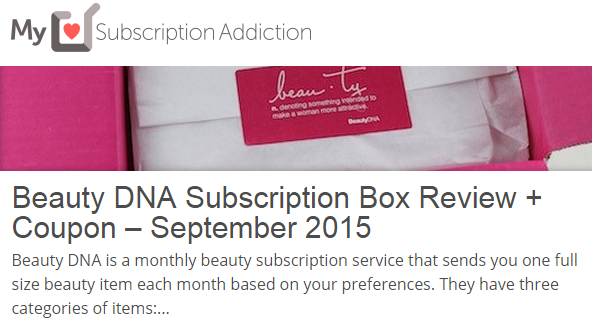 If you offer any form of product that you sell, then give it away for free to other bloggers. In exchange, they can review the product and link to your site. This works extremely well with physical products that are used by women. There are hundreds of mommy bloggers that review products for a living. Here is the four step formula for building backlinks through product reviews. 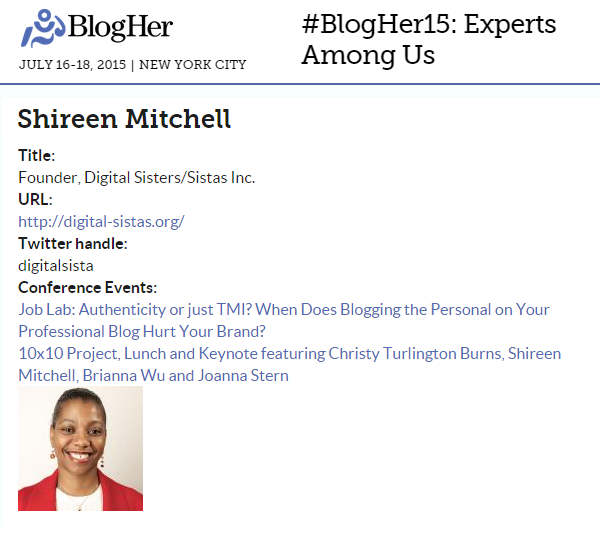 Identify Blogs That Have Reviewed Products Before – Focus on the bloggers that consistently review products. Create a List Blogger Emails – If you can not easily find a way to contact the blogger, then move on to the next one. Reach Out to Each Blogger Asking for the Review and Their Physical Address – This allows you to qualify each blogger prospect before you send out the product. Send Your Product Packaged Perfectly to The Blogger – The unboxing of your product is part of the customer experience, so make every detail count. Also, include a hand written card to each blogger thanking them for taking the time to review your product. For every ten products you mail out, you will get nine backlinks. If the blog has a decent sized audience, then you will also get a nice bump in sales. You may be thinking… Wow, that is going to to be real hard to pull off. If it sounded easy, then everyone would do it, and its effectiveness would be diluted. Here is the 4 point plan for the flawless execution of this backlink strategy. Set Aside $500 to $1000 For Your Scholarship – This is going to be tax deductible, and you will be helping someone fulfill their dream of getting a college degree. Create a Scholarship Page on Your Site – This page needs to list out the award amount, number of winners, deadline date, requirements to qualify, and have an online application for submissions. 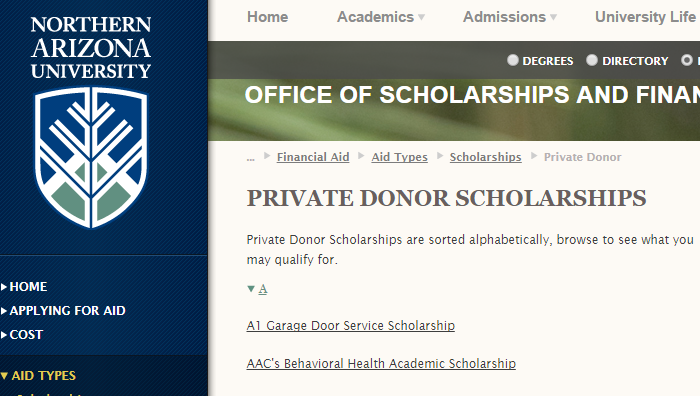 Use Special Google Search Strings to Find Scholarship Listing Pages – Search strings like site: .edu “scholarships” and site: .gov “scholarships” will help you find plenty of pages to target your outreach on. Outreach with Email and Phone Calls – Start your outreach with a personal email that asks for the inclusion, which has a the link to your scholarship page. Follow up with a phone call a week later to make sure the decision maker received your request. A single link from a major university website can significantly impact the Google rankings of every single post and page on your site. Many blogs create “Best Of” posts that compile a list of their favorite blog posts on a specific topic. Here’s the basic process for getting your post added to the list. Identify Your Most Linkable Post – Look through your most shared posts that have at least 1500 words, and choose the one that is clearly the best of your best. Find Blog Posts to Target with a Google Search – Perform a Google search to find a list of high authority websites that have a “best of” post on your target topic (Google search = best of post + your topic). Contact the Authors of Each “Best of” Post – Reach out to the author of each post, via email, and ask if they can add your post to their list. With brand name bloggers, you will want to build a relationship before asking them for a backlink. This can be done by making comments on their blog, asking a question in an email, and following them on Twitter. This is an old school way of building links that has stood the test of time. Pro linkbuilders call this The Moving Man Method, and this is how it is done. Find Websites That Went Out of Business – Always keep an eye open for businesses in your industry that have gone under. You can do a Google search to find more businesses that have failed, and Wikipedia has a list of big brands that are now defunct. Identify High Domain Authority Sites Linking to the Defunct Business – Use Open Site Explorer to get a list of all inbound links ranked by domain authority. Avoid any links that are no follow. Reach Out to the Website Owners that Are Linking – Send an email with the subject line “Broken Link on (Website URL).” In the body of the email, mention the specific page of the broken link and include your link as a good replacement. Although this technique is hard to scale, one defunct business can lead to a dozen quality links. This is one of the easier ways to get .edu and .gov backlinks. Even sites like the CDC.gov are known for having resource pages with broken links. Here are some of the best practices for replacing broken links on resource pages. Use the Check My Links Chrome Plugin to Identify Broken Links – This plugin will allow you to quickly scan for broken links on every resource page you find. Send Outreach Emails to the Webmasters of Each Site – Let them know all of the broken links you found, and give them your link as a possible replacement. As with most broken link replacement strategies, it is a numbers game. Set a monthly goal for total outreach emails sent, and hit that goal every month. Start by performing a Google search for your company name and personal brand. Identify any websites that mentioned you and failed to place a link out to your website. At that point, send out an email thanking them for the mention, and ask them to place a link to the post they used as a source. I recommend performing this process once a month to identify new mentions that do not have a backlink. 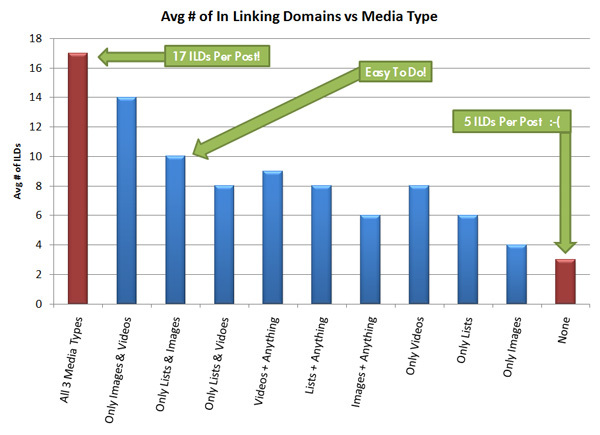 Moz did a study on the types of media that attract the most inbound links. They found that blog posts that used the list format with both images and videos clearly received the most backlinks. It is pretty easy to do some research and come up with an awesome list post. However, most amateur bloggers come up short when attempting to use videos and images that drive backlinks. Here are a few techniques pro bloggers use to make their posts sparkle with visual content. Visualize Key Stats with Graphs and Charts – Look for studies on the topic that you are writing the post on. Many of these will have graphs and charts that are free to use as long as you link back to the page that discusses the study. Embed Proven YouTube Videos in Your Post – Instead of trying to create your own video, find a YouTube video from a quality source that has a proven track record. Only choose videos that have a significant number of views along with a good thumbs up to thumbs down ratio. Embed Twitter Tweets with Images Related to Your Content – Twitter is filled with incredible images on everything you can think of. Use the search function to find your images and embed the tweets directly into your post. These three techniques will turn your generic list post into a visual masterpiece. After infographics, the statistic post is the most effective passive link building technique. Reporters use Google to look for statistics on the topics that they are writing about. If your post comes up on their search, then you have a great chance of being included as the source of their key stat. Here are a few tips for implementing this process with excellence. Optimize Your Post Title for Google – Your title should have the statistics phrase that you are targeting in the first six words. For example, “21 Incredible Inbound Marketing Statistics.” This will allow your post to rank higher on Google for that specific keyword phrase. List Out Your Stats Using Bullets – You want to make it real easy for reporters to scan through the statistics on your post. Bullets separate each stat and draw attention to them at the same time. Group the Statistics Together and Follow Each Group With a Commentary – This will allow you to increase the total word count of your post. Group the statistics into sets of 6 to 9, and write a commentary under each set. Go Further Than the Competition By Curating a Greater Number of Stats – Look through the first four pages of Google results for the statistics phrase that you are writing about. Find the highest number of statistics within a post and compile at least 10 more. Reporters will naturally be drawn to the title that has the largest number of statistics. I recommend making a list of every type of statistic remotely related to your industry. If you are in social media, then that would include stats on Pinterest, Facebook, Twitter, etc. Write at least one long form statistic post every month. Just this past summer, my statistics posts produced backlinks from AOL News, San Francisco’s top newspaper, and AskMen Magazine. Every industry has several big national events each year. These event websites are usually linked to by many quality sites, which creates significant domain authority. If you can get invited to speak, then you will be listed on the event website with a link to your site. Here are a few tips for getting booked to speak at events. Join the National Speakers Association to Get Found More Often – Many of the event decision makers will search their directory to find potential event speakers. List out 10 to 20 topics that you could speak on within your profile so that your name will show up for those keyword searches. Go to Events and Meet the People that Run Them – The event organizers are always looking for speakers to teach their seminars. Offer to buy them dinner one night so that you can pick their brain and get closer to them. Make a Video of You Speaking to a Small Audience – Offer to speak at your local chamber of commerce or a Meetup group and pay a videographer to film it. This will allow event organizers to see you in action. Always offer to speak for free. Every speaking gig is going to bring in new clients and make you thousands of dollars in product sales. Take a look at your target audience and make a list of all the associations where they might have a membership. 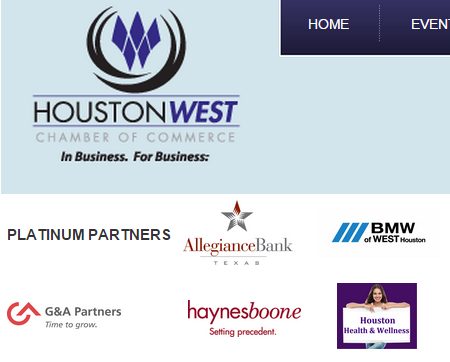 Review the Page Authority of Where Sponsors Are Listed on the Association Website – Sometimes the sponsors will be listed on the homepage, and other times they will be listed on their own independent page. Since you will be paying for the sponsorship, I recommend only going after associations where you can get listed on a url with a page authority greater than 38. Always Check to See If the Sponsor Links Have the No Follow Tag – Right click on the page with the sponsorship links and click “view source.” Next, perform a search for “no follow” and “nofollow.” If you find this piece of code next to sponsorship links, then eliminate that association from your prospect list. Make Sure You Can Get a Positive ROI From the Sponsorship Package – Most sponsorships will offer a variety of ways to interact with members. Getting to speak directly to members and being included in email blasts will deliver the greatest return on your investment. It is important that you take your time and choose one or two associations that you can consistently be involved in. Being able to network with your target audience on a monthly basis is going to be worth just as much as the backlink. Podcasters are constantly looking for people to interview on their shows. If you get interviewed, then your website will get a backlink in the show notes page on their blog. Many of these blogs have significant domain authority. Here are a few tips for getting podcast interviews. Use Apple’s Top Podcast Charts to Create a List of Podcasts to Target – Apple keeps track of the top 300 most listened to podcasts in every category. This is where you will build your list of podcasts to target. Start from number 300 and work your way up to number 1. Create a Specific Pitch for Each Podcast – Your email pitch should show them you are an avid listener, explain how their listeners will benefit from your interview, and include what makes you the expert on the topic. Spend an Hour Preparing for Each Interview – The host will typically send you the questions they will ask. Prepare yourself to give answers that deliver significant value to their listeners. Be completely transparent and weave a story that reveals how you overcame failure to find success. In addition to the backlink, podcast interviews will give you significant exposure that will lead to new clients and revenue. You are officially a backlink expert. Keep in mind that you only need to execute a handful of these strategies to make a significant impact on your Google rankings.